If you own a dual SIM phone you might want to be able to run two WhatsApp accounts on the same phone. While WhatsApp is known for allowing only one mobile number on a device, there are ways you can get dual WhatsApp accounts in one phone. The easiest way to do that is if you have a phone that comes with a pre-install option to clone apps. Today many Android OEMs including Huawei, Xiaomi and OnePlus offer such functions on some of their devices. But not to worry, if you don’t own such a handset, there are other workarounds that will lead to the same outcome. You’ll find the methods below, so keep reading. What you need to remember before you start is this: make sure you have a mobile number at your disposal that wasn’t previously connected with a WhatsApp account. Even if you can get dual WhatsApp accounts on a device, you can certainly not create dual WhatsApp accounts using a single phone number. Tips: If your important WhatsApp chat history have just been deleted or somehow lost while there’s no backup for it, you can quickly recover deleted WhatsApp messages and media files, like photos, videos, and audios from Android by using iReparo for Android data recovery tool. It works perfectly with almost all brands of Android devices, such as Samsung, Huawei, HTC, LG, Motorola, Google Pixel, OnePlus, etc. This method varies depending of what kind of phone you have from which manufacturer. But if you own a recent OnePlus device (we used the OnePlus 6), you can easily clone apps. Follow these steps if you want to know how to use two WhatsApp in one phone. Just head on to Settings > Apps > Parallel Apps. From there users can toggle on the Parallel App option for WhatsApp. Open the app tray and you’ll see the second WhatsApp icon. It will be marked by an orange dot. Simply tap on it and follow the sign-up process as you’d normally would the first time you’d be installing WhatsApp on the device. If you’re using a Xiaomi phone, you should be looking for Dual Apps. It should be under Settings. For Honor phones, the option is called App Twin, while in the case of OPPO, it’s Clone App. In all instances, you’ll need to turn a toggle on to duplicate an app. It’s quite easy and intuitive to do. Bottom line, no matter what kind of phone you’re using, check in Settings to see if you find a similar option to allow you to clone your apps at will. It’s by far the simplest way to get multi WhatsApp. Don’t have the dual app option on your phone? Not to worry. We have a simple solution for you. Simply install the Parallel Space app on your Android device. It’s a straightforward app that easily clones apps on your device. 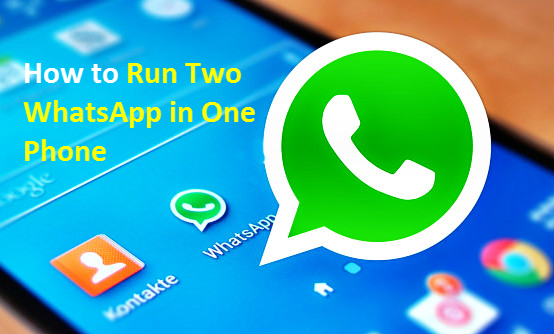 Again, a very simple method on how to run two WhatsApp in one phone. Note that not all apps can be cloned through Parallel Space, but fortunately WhatsApp is one of them. Others include Amazon, Messenger and Facebook. All you need to do is open Parallel Space and select which apps you want to be cloned. Then tap on the newly created app (inside Parallel Space) and you’ll immediately be prompted to verify your second phone number. Parallel Space isn’t the only app out there offering this option. There are others you can try like if you want to get multi WhatsApp in one phone. 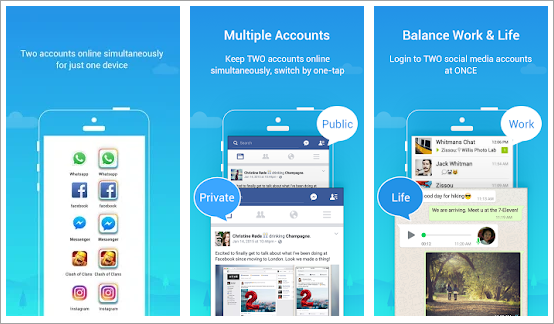 Another alternative for getting 2 WhatsApp in one phone, is to use multiple user profiles on your Android. This is a feature that’s available on many newer phones that run Android Lollipop and beyond. 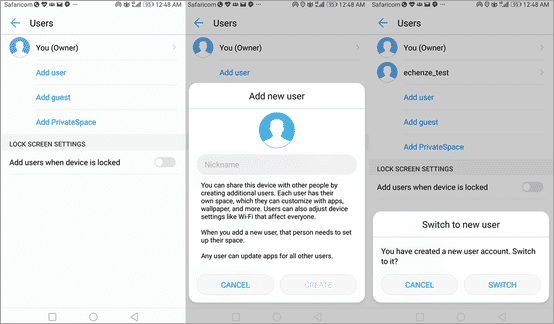 So how do you add a second or guest user on your Android device? Simple, swipe down on the screen of your device to pull down the notification tray. Below the toggles, you’ll probably notice a small icon that follows the outline of a person. Tap on it. On our OnePlus 6, we have the option of switching to Guest which automatically triggers a default screen. Switching to the Guest account will provide you with an all-new, untouched phone interface that looks exactly like the one we got when we unboxed the phone. There’s also the possibility to add a second user. Whichever of these two you end up choosing, know that once you do so, you’ll be able to install WhatsApp once again and log into a second account using a different phone number. Keep in mind that when you access the Google Play Store, you will need to input credentials again. It would be like you never used the phone before. What do you do when you’re done with Guest Mode? Simple, just pull down the notification tray again and then find the small (blue) icon at the bottom and tap on it. Next, tap on your user to get your usual interface restored and ready to go. Android has made it super easy to switch between different accounts on a phone, so you should certainly take advantage of that. Another way to get the option of running two WhatsApp in one phone is to use WhatsApp Business. WhatsApp Business was launched not so long ago, earlier in 2018 and is a version of the app that directly targets businesses. This is a separate entity that you need to download on your device. Therefore, you’ll be able to use the standard WhatsApp account on top of the WhatsApp business on the same device. While its specific purpose is to let users create a profile for their business, WhatsApp business can be used as a regular account if that’s what you want. The good news is that WhatsApp business is free to download. You won’t have to pay a fee to take it for a spin on your device. So if you want to give it a go, go ahead. There are no restrictions involved. You’ll also get a bunch of extra features that are not available for regular WhatsApp. For example, you can take advantage of landline number supports, as well as business messaging tools. For example, you can set Away messages to indicate that you’re away. The last method we are going to talk about requires you root your device. While rooting gives you access to the most powerful and advanced Android features, the action might have the effect of voiding your warranty too. Moreover, some root methods are sometimes messy and dangerous. You might brick your device simply by trying to root it, so make sure you understand the challenges and proceed at your own risk. But if you have a rooted device there’s so much more you can be doing with it. 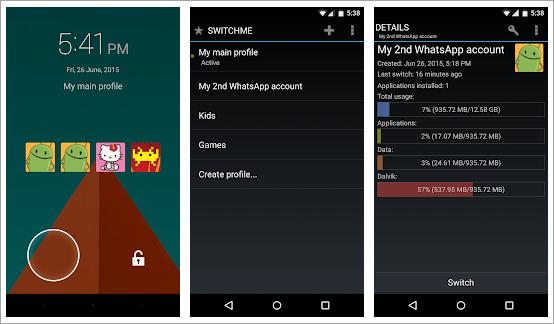 For example, you can install an app like SwitchMe, which can let you set up 2 WhatsApp in one phone. To get started, make sure you have WhatsApp already installed on your phone. Run SwitchMe. The app will serve up a Superuser request. Grant it. Now you will have to create a profile in the SwitchMe app. Mark it as an administrator account and it will hold all your apps and settings. It will also be the profile used by your WhatsApp. Next, create a second profile under a different name by tapping Create Profile. Choose the Switch option and select the new account. At this point, your smartphone should restart. Once it’s available for use, install WhatsApp from the Google Play Store again and sign-in with a different number. 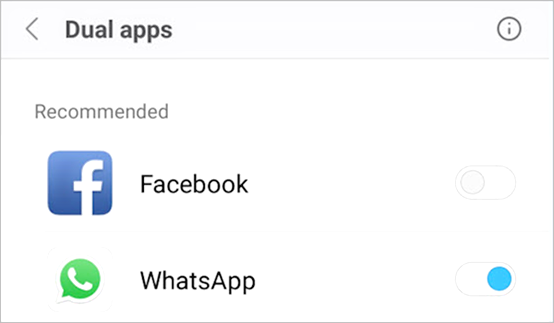 There are other apps out there that claim to offer similar services including WhatsApp 2, OGWhatsApp, MultiWhatsapp and others. But in order to get these apps, you will have to download them from dubious sources. Most of them have been removed from the Play Store, so the only way to get them on their device is to install an apk. But if you do, you’ll soon notice the application behaves strangely. This is probably because they are infected with malware, so do yourself a favor and stay away from them. In this article, we’ve provided you with five genuine ways to help you get double WhatsApp accounts on your Android phone. These are proven methods and won’t harm your device and hopefully you enjoyed learning how to run two WhatsApp accounts in one phone. Except for the last method, which is a bit more “adventurous” the other ones are super easy to use, even if you’re a beginner who doesn’t know too much about Android. However, if you’re barely starting out with smartphones, it’s highly recommended you stick to one of the four methods we have outlined above. Rooting is a rather complex process, so it should probably be left to the most seasoned of users. Even so, if you still want to attempt rooting your Android device, make sure you follow closely a step-by-step tutorial. But to be frank, there’s no real need to do that, when you have simpler options at your disposal. WhatsApp is one of the most popular messaging apps in the whole world and it’s constantly being updated with new features. For example, this summer, the app welcomed a new group calling for voice and video feature that’s super easy to use. 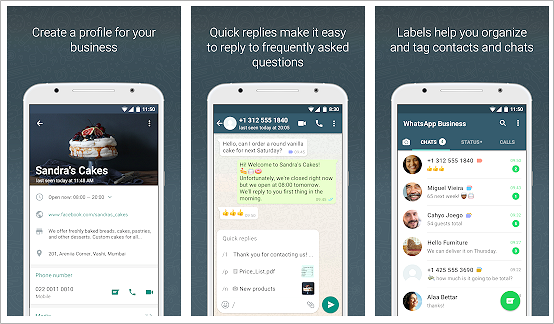 The company also added new GIF/Stickers for WhatsApp web. So it’s no wonder the messaging service’s user base is growing exponentially with which month that passes. And now that you’ll be able to use dual WhatsApp accounts in one phone, the app will be more useful to you. Which of these methods would you be more inclined to try? Let us know in the comment section below. And if you have some suggestions or new methods on how to use two WhatsApp accounts in one phone, don’t hesitate to let us know.